It was March 6, 2008 when this story wrote itself. At this time of Phil Ramone’s passing, it seems appropriate to remember his influence on me and the music I compose and produce. Glenn Richter, a longtime ally of mine and professor of music at the University of Texas, called this morning and invited me to have lunch with Phil Ramone. There are two producers in this world that would make me get dressed this fast. One is Sir George Martin, whom I have already met and briefly worked with. 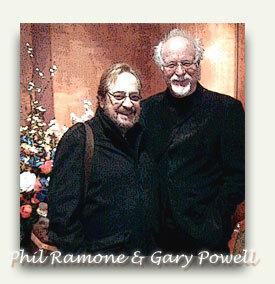 Phil Ramone is the other. Also present at the lunch were Executive Director of the NARAS – Texas Chapter, Theresa Jenkins and Project Director Jennifer Vocelka along with Ed Evans, Director of Technical Operations for Villa Muse and UT Recording Technology professor Mark Sarisky.